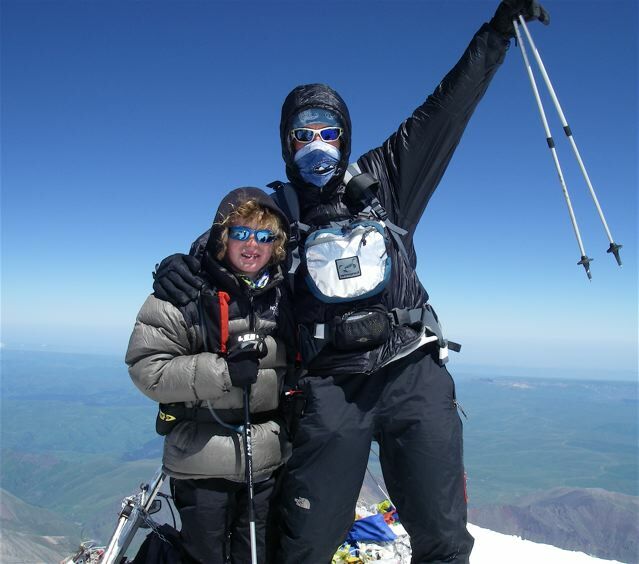 Jordan Romero At Age 13 Arrives At Top Of Mount Everest! The kid made it. Although he certainly sounds like a young man, rather than a boy. What an inspiration for those of us wanting to excel in any of our individual pursuits. You can read more about Jordan and see pictures of him in an earlier post. You can also visit his website, and watch the team’s progress as they climb down the mountain. One of the most adorable items in this latest story is that his FAVORITE good luck charm was a pair of kangaroo testicles. Wonder how heavy they are? Also found an article from January 2009 that commented on Jordan: “… Jordan still needs to raise about $180,000 to complete these last three climbs, the bulk of which will go to Everest and Vinson. In order to raise the money, Jordan sells t-shirts and was recently awarded a Polartec Grant to help him in his quest. So the team behind and with him is really doing more than just walking up hills. It’s a huge logistical and fundraising effort. BEIJING – A 13-year-old American boy became the youngest climber to reach the top of Mount Everest on Saturday, surpassing the previous record set by a 16-year-old Nepalese. Jordan Romero called his mother by satellite phone from the summit of the world’s highest mountain, 29,035 feet (8,850 meters) above sea level. He is now one climb away from his quest to conquer the highest peaks on all seven continents. “He says, ‘Mom, I’m calling you from the top of the world,'” Leigh Anne Drake told The Associated Press from California, where she had watched her son’s progress on a GPS tracker online. The teenager with long curly hair — who climbed Mount Kilimanjaro in Africa when he was 9 years old — says he was inspired by a painting in his school hallway of the seven continents’ highest summits. “Every step I take is finally toward the biggest goal of my life, to stand on top of the world,” Jordan said earlier on his blog.